Home > All other vStuff > Love is in the air! Today a real Valentines article. I always knew that Anne Jan is really in love with anything virtual and after last week I also knew that Anne Jan extended his love to the physical world with the Cisco UCS. But tonight between Cisco UCS and VMware he quickly mentioned he asked his girlfriend to marry him this weekend. The ‘little rascal’ hadn’t informed anyone, no article on his favorite website, no twitter, no MSN message. So I thought I would take the honors and inform you, Anne Jan’s loyal friends. And with 20.000 visitors/friends visiting Anne Jan each month, I bet it is going to be a huge wedding ;-). So hereby the complete VMGuru.nl-crew would like to congratulate Anne Jan & Tineke! 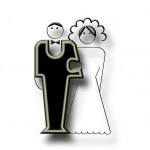 If you also want to congratulate the groom to be, leave a comment or send him a twitter message. 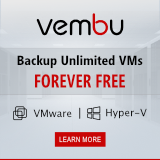 Free vSphere Hypervisor limitations removed!